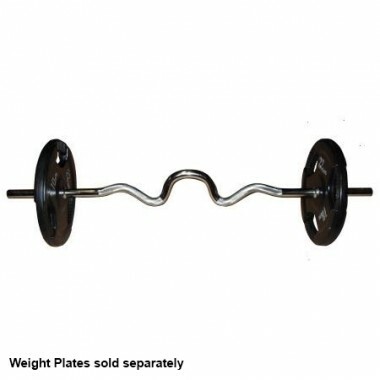 Standard barbells are bars with non-rotating sleeves, which have a diameter of 27 mm and suitable for use with weight plates with 30mm holes. They come with knurled grip and are made from a robust spring steel compound. Please make sure that your weight plates can fit on these bars. You can do that by measuring the internal diameter of the weight plate. 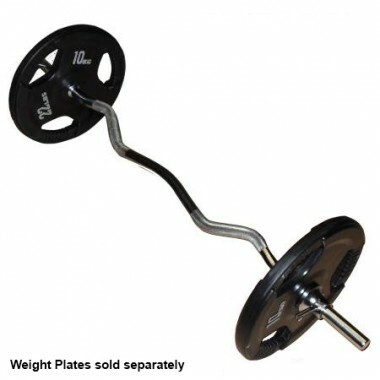 There are many cheap standard barbells in Australia that are made from 25mm steel. The weight plates for these bars have 27mm hole – so our premium quality barbells will not fit these cheaper standard weight plates. Dont't throw out your old standard plates just yet, you can use them with Power Maxx ø 27 mm thick Standard Barbell! 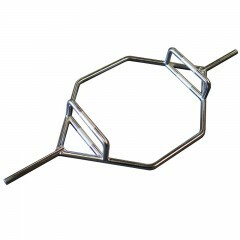 Finally, a quality Hex Trap Barbell for the many standard weight plate users of Australia. 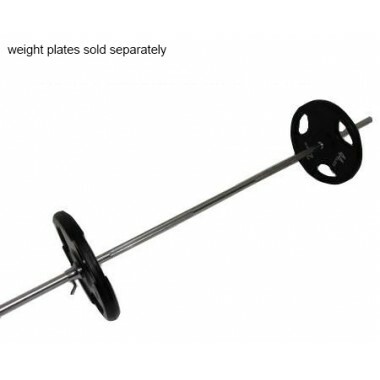 If you already have hundreds of kilos of standard weight plates, then we have a range of quality barbells that will allow you to utilise your standard weights. 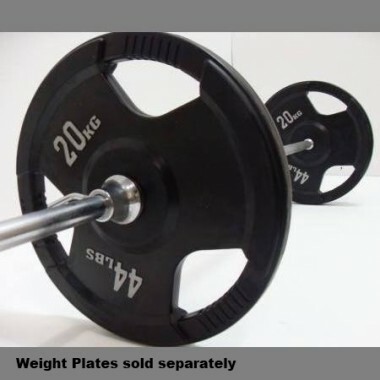 But if you are starting out and serious about your commitment to weight training then we strongly advise you to go to start with Olympic plates and barbells. The Olympic bars are a little more expensive, but this is partially offset by the fact that they are heavier – so you won’t need as much weight. Most importantly, the majority of quality gym equipment, bumper plates and speciality barbells are all in Olympic nowadays. As you progress with your training you will have many more options if you set up with Olympic. Buy once, buy right! Our Power Maxx standard bars might not be able to boast the same load rating as the Olympic Barbells, but they can take a beating. Lightweight - Probably one of the least utilised features when it comes to standard barbells is its weight. Full sized 7 ft standard barbell weighs approximately 10 kgs! Not everyone is strong enough to start training with a 20 kg barbell straight away. Standard barbells will allow you to ease into training without the risk of injury or embarrassment! They are handy tool for working on your form with lighter weights. Knurling – The small diamonds are imprinted into the surface of the barbell. This gives you a strong and comfortable grip when training. Composition – Made out of spring steel and coated in heavy duty chrome. This composition gives the barbells durability and longevity. 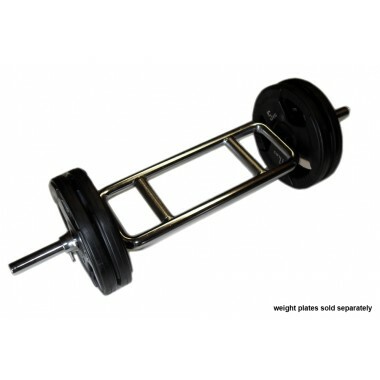 7ft standard barbell – lightweight and robust design, suitable for all power cages and squat racks. 160 cm barbell – Shorter version of the 7 ft standard bar. Smaller footprint for people who are tight on space. Unfortunately, this barbell does not fit on a rack. The Standard EZ Curl Bar will add some muscle isolation to your workouts. The angled grip offers neutral wrist position throughout the whole exercise. Exercises – biceps curls, skull crushers, upright rows. Training without variation might lead to muscle imbalances. The super curl barbell is designed to help you isolate specific muscle heads in your biceps and triceps. Although similar in appearance to the EZ curl, the steeper angles offer a significant variation to the EZ curl exercises. Exercises – skull crushers, upright rows, hammer curls. The Tricep Barbell is designed to take your triceps workouts to the next level. Great for accessory work. Exercises – upright rows, overhead triceps extensions, hammer curls, close grip bench press. Finally a quality option for standard platers! Previously you looked on with envy at your Olympic brethren. Now with the Hex Trap Bar, you can perform this killer exercise which hits the whole body. Please note: measure your internal diameter of your standard weight plates to make sure they fit these barbells. 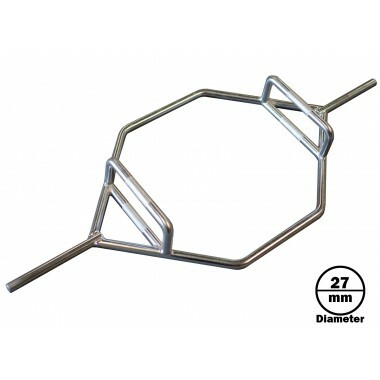 Many cheaper, lower quality weights and bars will have a smaller diameter.